The elephants can’t move. Metal chains are wrapped around their legs, holding them firmly in place. The only thing they can do is sway their heads back and forth, and tentatively reach out their trunks. These elephants are residents of Lok Kawi Wildlife Park, a zoo in Sabah, in Malaysian Borneo. Eight months ago, the elephants had access to a large enclosure where they could roam freely, stand in grass and even wade in a shallow pool. 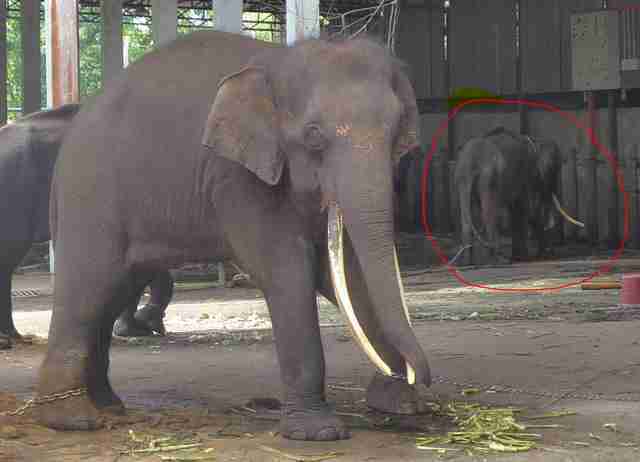 But when the enclosure shut down, the elephants were moved to a concrete area at the back of the zoo, where they spend up to 24 hours a day in chains, according to Upreshpal Singh, director of Friends of the Orangutans, a local animal welfare group. 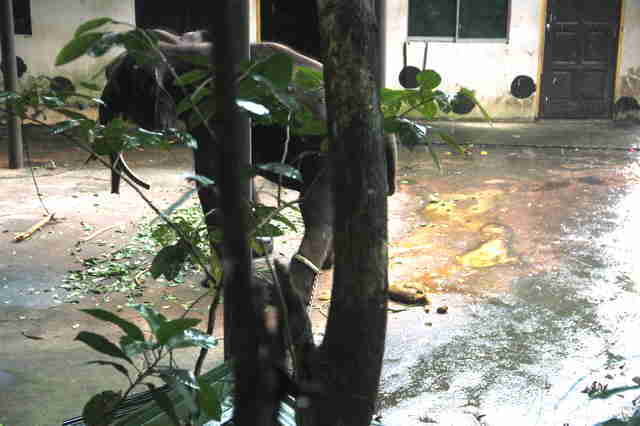 The concrete area isn’t regularly cleaned, which means that the elephants are forced to stand in their own urine and feces, which can cause foot problems, Singh explained. But the main issue is the chaining itself, which stops elephants from expressing natural behaviors such as lying down, playing, socializing and bathing themselves in dust or water. Chained elephants also tend to develop repetitive patterns of behavior due to stress, also called stereotypical behaviors, such as compulsively swaying back and forth in their chains. 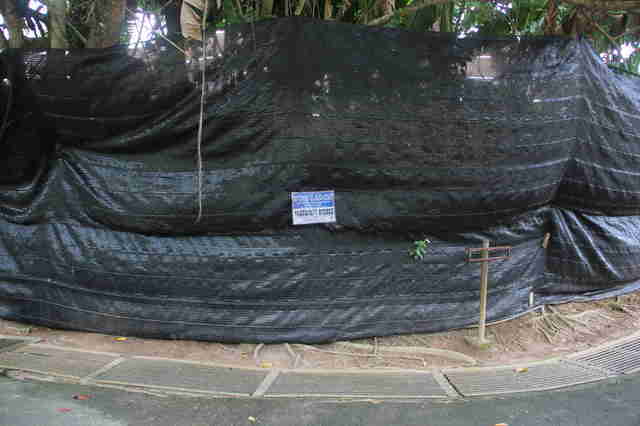 Curiously enough, a sign on the closed elephant enclosure says that construction was due to finish in July 2018, yet the work doesn’t seem close to being done, Singh explained — and this may have a lot to do with the zoo’s finances. “The zoo is losing money — like millions every year,” Singh said. But it’s not just the chaining of elephants that worries Singh — he’s also concerned that the zoo, which is supposed to double as a rescue and rehabilitation center, is not providing adequate medical care for its animals. In May, a critically endangered Borneo elephant named Yapid, who had been rescued from the wild 13 years prior, died at the Lok Kawi Wildlife Park. 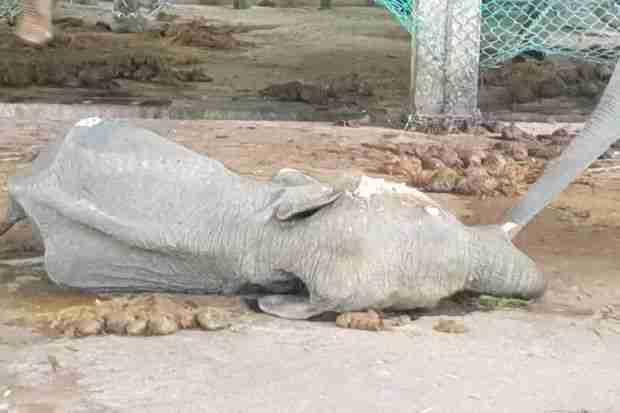 And a little over a month later, another Borneo elephant, a 3-year-old female named Gendu who was born in captivity, also passed away. The zoo never released any postmortem reports, so the causes of death remain mysterious. If the other elephants continue to be chained up in unsanitary conditions, Singh fears that more elephants will die. 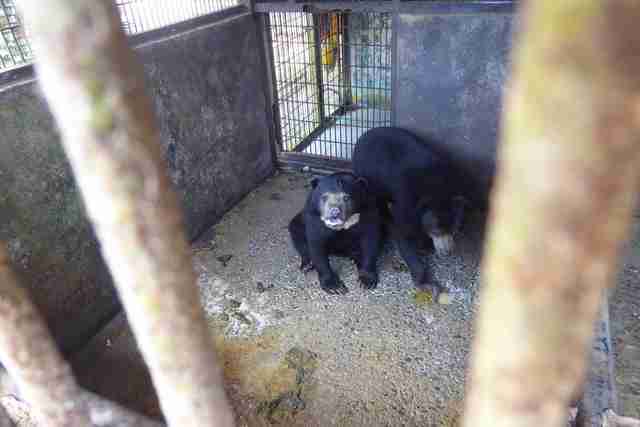 Other animals at Lok Kawi Wildlife Park, including sun bears, tigers and orangutans, are also kept in small enclosures with little or no enrichment. 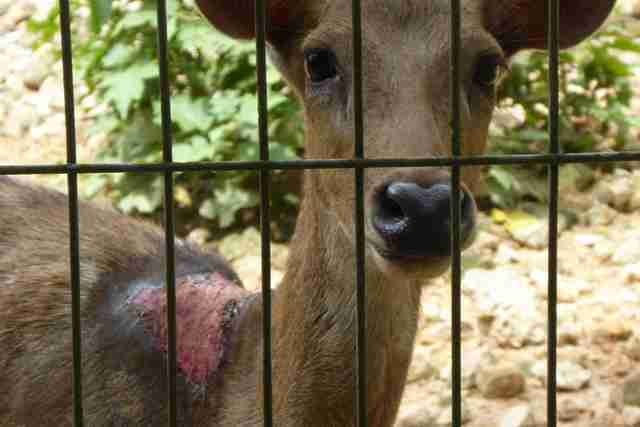 At night, they have to go into even smaller enclosures, according to Dave Neale, animal welfare director for Animals Asia Foundation. Like Singh, Neale is particularly concerned with how the elephants are kept at the zoo. In June, Christina Liew, the minister for tourism, culture and environment in the Malaysian state of Sabah, visited Lok Kawi Wildlife Park, but said that “all was well” at the facility, according to a media report. But Singh disagrees with Liew’s assessment, and believes she should have taken a wildlife expert with her when visiting the park. 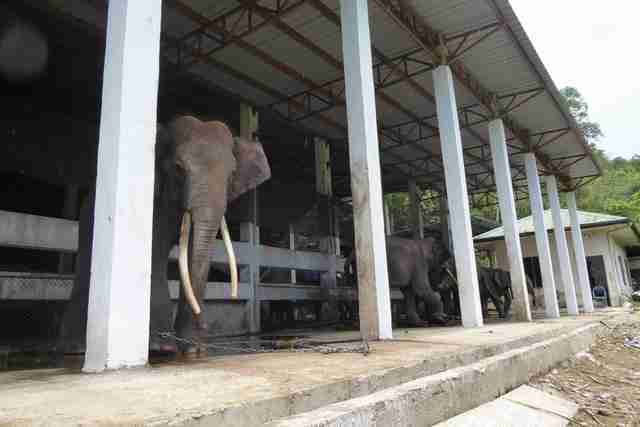 Unfortunately, there isn’t an alternative facility for the elephants and other animals to go in Sabah, Singh said. There aren’t any animal sanctuaries nearby, and other zoos and similar facilities keep animals in equally poor — if not worse — conditions. 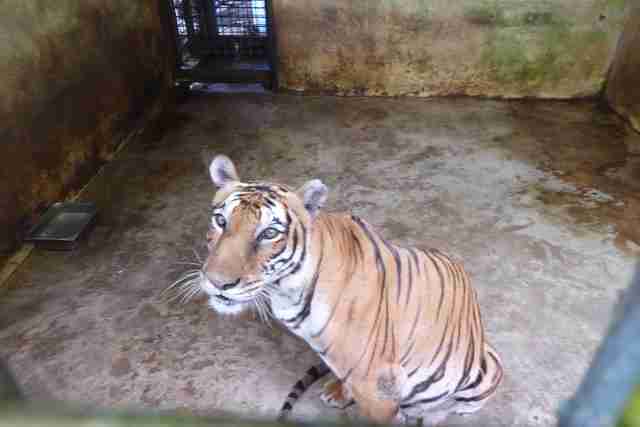 Therefore, Singh believes the best solution is to create better living conditions for all the animals at Lok Kawi Wildlife Park. 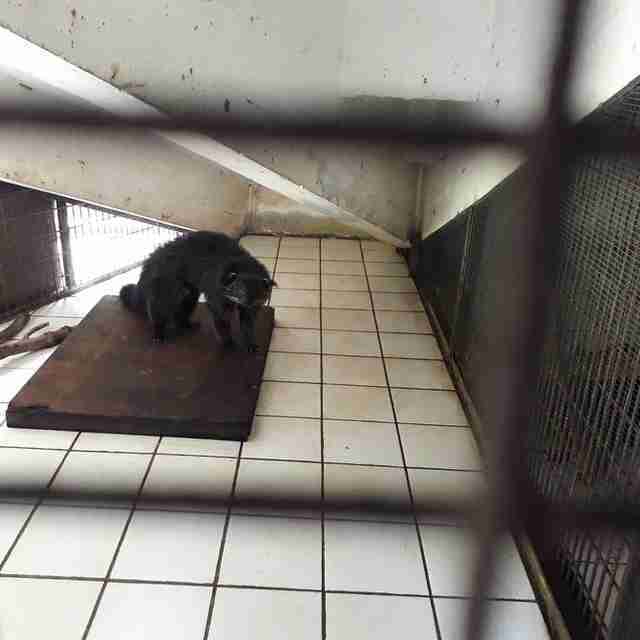 To help improve conditions for the animals at Lok Kawi Wildlife Park, you can contact the Ministry of Tourism, Culture and Environment in Sabah, and politely urge the minister to take action. 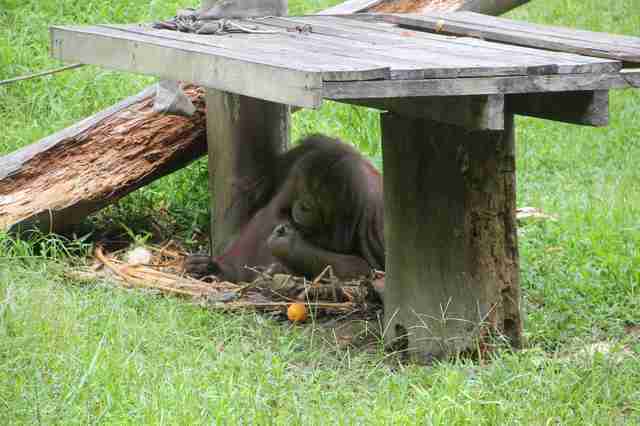 You can also support further investigations of the zoo by making a donation to Friends of the Orangutans.